Phoenix, AZ – July 19, 2017 – After more than eight years of development, Planetoid Pioneers, the heavily physics-driven Metroidvania-like game featuring local co-op, crafting, combat, exploration, and user-generated content, will be playable when Data Realms releases its Game-Only Edition for Windows on Steam Early Access on Thursday, July 20, 2017. Combining over 20 years of experience at THQ, Rockstar, Electronic Arts, Ubisoft, and Pixar Animation Studios, the independent team at Data Realms brings AAA production values to the digitally hand-painted, sci-fi universe of Planetoid Pioneers, alongside the best work from members of their player community. At the end of lives lengthened by medical advancements, centuries-old men and women leave Earth for one last epic adventure. Empowered by cutting-edge weapons and technologies such as an advanced 3D printing tool that can rebuild everything they come across – including their own bodies – these Pioneers enjoy creatively overcoming challenges while exploring the Asteroid Belt beyond the orbit of Mars. The Game-Only Edition will ship with more than half a dozen planetoids, each offering completely different game modes populated with vehicles, creatures, robots, items, and weapons created by Data Realms. 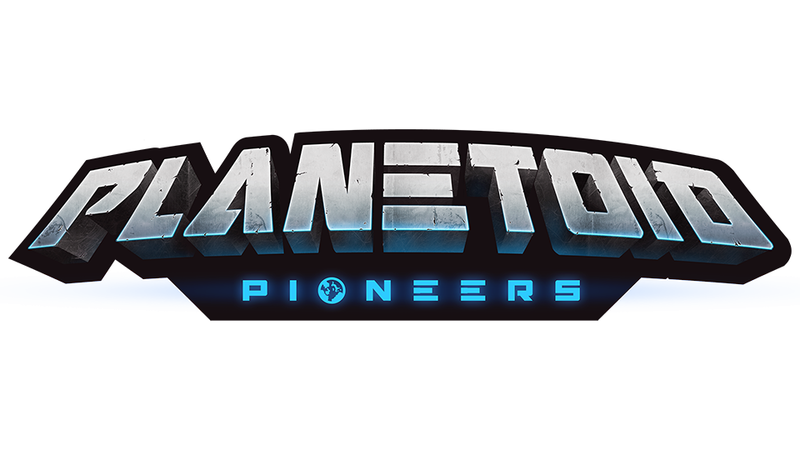 Players can also choose from and subscribe to a rich set of user-generated content made by owners of the special Planetoid Pioneers Contributor Edition, expanding the experience in scope and depth for years to come. Since April 2016, the Contributor Edition has provided the same commercial-grade tools Data Realms uses to create all the content playable in the game today. This enables anyone to contribute meaningfully to the universe and gameplay by building their own planetoids, characters, weapons, vehicles, or anything else as shareable blueprints. A prequel to Cortex Command, the cult classic physics-based strategy game enjoyed by more than 200,000 players, Planetoid Pioneers utilizes a proprietary custom physics engine and toolset, called Crush2D, developed by Data Realms for this and future titles. Planetoid Pioneers Game-Only Edition will cost $9.99 USD. The price of the Contributor Edition will drop from $39.99 to $29.99 USD, providing access to everything in the Game-Only Edition as well as the full suite of Crush2D tools allowing live-editing and easy sharing of any game content through self-contained “packed PNG” images. Both versions will receive frequent updates. Game-Only Edition owners will gain access to the editors for no extra cost when Planetoid Pioneers exits Early Access in early 2018. The Contributor Edition will continue to grant access to the already well-established Contributor Community, where users can collaborate with each other and get support directly from the official team at Data Realms. Planetoid Pioneers has already garnered five awards including three “Best in Show” at various events worldwide. Data Realms also received financial backing from the all-star collective of indie game developers at Indie Fund in June 2017. Data Realms is an independent games studio with two dozen team members in ten countries across four continents, all committed not only to delivering solid gameplay entertainment, but to the democratization of game development by inviting players to engage in the development process in a meaningful, creativity-inspiring, and indirectly educational way. Their first release, Cortex Command, helped pioneer the concept of “Early Access” nearly a decade before it became widely adopted.